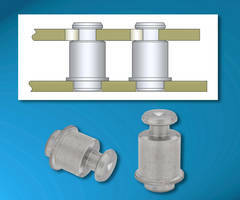 Integrating modified punch and anvil, PEMSERTERÂ® Tooling can install PEMÂ® Type S self-clinching nuts permanently in thin aluminum sheets without need to pre-punch mounting hole in separate operation. 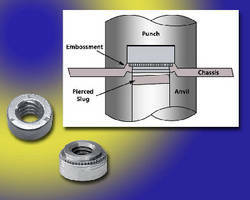 Raised ring on anvil allows fastener to pierce its own mounting hole and then assists in final clinching process. 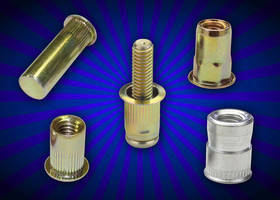 PEM Type S nuts with thread sizes Â¼-20, 5/16-18, M6, and M8 and with -2 shank length can be installed in aluminum sheets from 0.059-0.79 in. thick and no harder than HB 79.7. 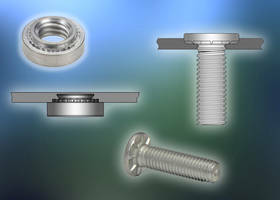 Specialized PEMSERTER® tooling introduces a newly developed capability to install PEM® Type S self-clinching nuts permanently in thin aluminum sheets without the usual need to pre-punch a mounting hole in a separate operation. 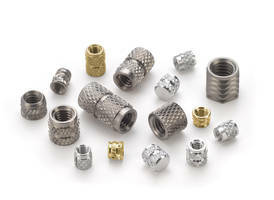 When used properly and meeting key application criteria, the tooling and fastener will pierce the mounting hole during the fastener-installation process and yield associated savings in production time and money. 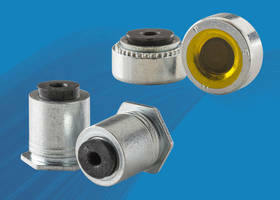 This can be accomplished using manual tooling or automatically with in-die equipment. Using this method, PEM Type S nuts with thread sizes ¼-20, 5/16-18, M6, and M8 and with a -2 shank length can be installed successfully in aluminum sheets. Sheets must be between 0.059" / 1.5 mm and 0.79" / 2.0 mm in thickness and no harder than HB 79.7 (HRB 40). 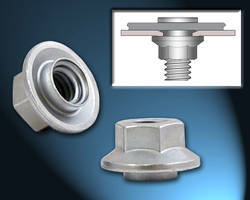 When in-die equipment is not used, a fixture, template, or other location device is recommended to ensure that the fastener is consistently located in the proper position on the sheet. The engineering of the new tooling integrates a special modified punch and anvil to deliver the benefits. A "raised ring" on the anvil allows the fastener to pierce its own mounting hole and then assists in the final clinching process. The feature also creates an embossment in the panel allowing sub-flush fastener installation on the shank side of the sheet and contributing ultimately to a clean installation. All PEM and PEMSERTER products are manufactured by PennEngineering®, founded in 1942 and this year celebrating 70 years of excellence and innovation in fastening technology.